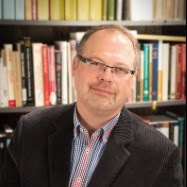 Dr. André Gagné, an Associate Professor in the Department of Theological Studies at Concordia University (Montreal, Canada), and Brice Jones, a doctoral student, have begun a series of podcasts devoted to my book, The End of Biblical Studies (2007). They are excellent discussions insofar as they highlight the very points that I would have chosen if I produced a podcast on that book. In addition, their podcasts are a welcome sign that more academic biblical scholars are willing to engage in a constructive discussion of my frank critique of the religionist orientation field of biblical studies. For the two podcasts (#5 and #7) already available on the book, and for podcasts on other interesting topics in religious and biblical studies (including their own journeys away from fundamentalism), see their Inquisitive Minds Podcasts.